Prop. 64 promised that legalizing marijuana will "incapacitate the black market." But it probably won't. California grows 13.5 million pounds of weed a year. Before California voters approved the legalization of marijuana last year, advocates of Proposition 64 promised that the state's black market weed farming would come to an end, the environment would be protected, weed would be wholesomely grown, and all harvests would be tested to assure the safest possible product is sold in a new and thriving marketplace. That promise was even present in the text of Prop. 64: "By legalizing marijuana, the Adult Use of Marijuana Act will incapacitate the black market and move marijuana purchases into a legal structure." But the ballot measure failed to mention exactly how the black market would be "incapacitated." Nonetheless, many supporters chose to believe that legalization would shutter dangerous illegal indoor grows in residential neighborhoods and sprawling warehouses and outdoor grows in scenic parklands. Voters also wanted to think the organized crime operatives who watch over those massive outdoor grows would take their automatic weapons, banned pesticides, and poor hygiene to other environs in other states. And control of the darker forces of black-market farming practices is critical to protecting parks, water resources, and aquatic life. The National Forest Foundation estimates that each year huge amounts of harmful chemicals are dumped in state forests, including 9,000 pounds of rodenticide, 70,200 pounds of fertilizer, 4,800 gallons of insecticide, and 300 tons of assorted garbage. But since voters approved Prop. 64 a year ago, state bureaucrats, eagerly anticipating high tax revenue from the estimated $13 billion industry, have been softening their position on the black market, perhaps in an effort to dial back expectations. "It's going to take some time," admitted Lori Ajax, chief of the state's Bureau of Cannabis Control, told the Los Angeles Times. "While it's unlikely that everyone will come into the regulated market on Day One, we plan to continue working with stakeholders as we move forward to increase participation over time." But how realistic is it that state and local government agencies will bring illegal pot farms into the regulated market? Legalization becomes the law of the land in January, but it's already clear that the onerous criteria for state and local compliance and the punishing fees for applications, inspections, and property upgrades are serving as a huge obstacle for farmers who want to abandon the black market and trade in the regulated one. And state officials have yet to figure out how to effectively lock California black-market pot farmers out of the new legal marketplace. In fact, there's little doubt that California's illegal pot growers will continue to thrive within the state, and even if they don't, there are already well-established trading routes to other states and countries. California growers harvest 13.5 million pounds annually (a low estimate), but the state only consumes roughly 2.5 million pounds, according to the state Department of Food and Agriculture. That means cannabis farmers ship roughly 11 million pounds out of state every year. The California Bureau of Cannabis Control is still in the process of fashioning new regulations that will undoubtedly prohibit the transportation of weed across state lines, but it's unclear if the bureau's inspectors will be able to crimp the flow of black market pot that has been crossing state borders for decades. In the 44 years since the Drug Enforcement Administration was formed, well-funded government agencies, often working in tandem with U.S. military forces, barely put a dent in California's illegal pot farming industry. According to the DEA, an intense effort of combined local, state, and federal forces was only able to eradicate 2.6 million pounds in 2015. Creating a new layer of confusion, California's local governments are now creating a crazy quilt of opposing regulations. In San Francisco, Oakland, Berkeley, and Richmond, pot farming mostly takes place indoors. Thousands of homes and warehouses have been converted into discrete farming operations, many with jury-rigged electrical systems that are prone to fires related to overloaded circuits. In Richmond, which has regulations in place for permitting indoor legal pot cultivation, there hasn't been a strong-armed effort to shutdown illegal grows. In one case, an indoor pot farmer was growing in a 70,000-square-foot warehouse, and instead of shutting down the grow and ripping out the plants, the city decided to work with the owner to bring the warehouse into compliance and make the operation a revenue-generating business. "The owner of the operation didn't have a criminal record and was willing to work with the city," said Planning Director Richard Mitchell. "He paid all the application fees, and he's now making needed upgrades to the building to comply with city cannabis and zoning ordinances." This tactic is also being used in Humboldt County, where there is a serious problem with pot-farm-related environmental damage to soil, waterways, and aquatic life. 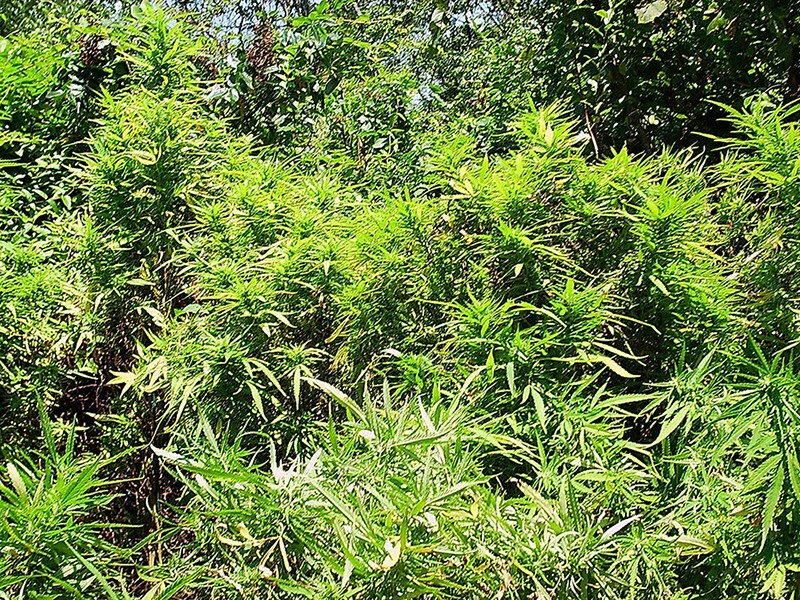 The county planning department has sent out letters to known outdoor pot farmers telling them to get on the waiting list for county permits and cease environmentally damaging practices. If growers honor those requests, they can continue to operate on a temporary permit. If they don't, they will face a $10,000 fine for each day they continue to grow weed. "People who are in the permit process are not targets," said county Planning Director John Ford, adding that the county's primary goal is to put a halt to illegal farms that are causing environmental damage. "My primary hope is that we get sites into compliance." Hezekiah Allen, director of the California Growers Association, said Humboldt County's approach will likely become a model for counties that want to responsibly regulate cannabis cultivation. "It's a popular model with the California Association of Counties growers in Humboldt who are telling me that it's workable," Allen said. "It's a shift to tax liens and civil actions and away from uniformed officers breaking down doors and chopping down plants."